As far as the animal kingdom goes, guinea pigs are far from being the cool and detached loners of the crowd. Not only do these furry rodents need to be around other guinea pigs, they also need attention from the beloved humans in their lives. If you own guinea pigs, it's imperative that they receive your dedicated love and attention -- daily. It's unnatural for guinea pigs to be alone all of the time. The solo life simply doesn't work for them. Individual captive guinea pigs require no fewer than one cavy as a cage mate. Free roaming guinea pigs spent their days in herds, and guinea pigs in captive settings thrive on the same level of interaction. When guinea pigs live by themselves, they're often gloomy, confused and spiritless. Being alone just isn't natural to these guys. While the presence of constant cavy buddies is indeed healthy for guinea pigs, attention from human beings is also essential for their well-being. If you have cavies, provide them with regular ample attention, rain or shine. Keeping a guinea pig healthy and in good cheer is an ongoing process that requires lots of dedication and effort. If you don't own any guinea pigs yet but are considering the idea, make sure not only that you can properly look after them, but that you can give them the quality interplay they so deserve. While guinea pigs should always have cavy pals by their sides, transitional periods are often inevitable. If you own a pair of guinea pigs and one dies, then your remaining cutie might not automatically be willing to welcome a new cage mate. Some guinea pigs are resistant to ever doing so. Bringing mature guinea pigs together can sometimes be difficult, even if you do so slowly and in a measured manner. Aggression isn't uncommon in newly acquainted piggies. If your guinea pig can't seem to deal with the change of a new cage mate, he might need more interaction from you than ever before. Without another furry pal in his surroundings, he'll likely depend more on you for valuable interplay. Be prepared to provide your pet with the extra company he needs, even if only for a temporary period of time. He might be happy about getting a new cage mate a little further down the line, after all. When it comes to giving your guinea pigs attention, you have a variety of strong options. Not many things are better than a good, old-fashioned daily petting session, for one. Brushing your pets' coats regularly can also make soothing and pleasant connecting experiences. Even simply taking the time to focus on your guinea pigs and "chat" with them every day can go a long way. Guinea pigs often get a lot out of simply being near their most preferred people. 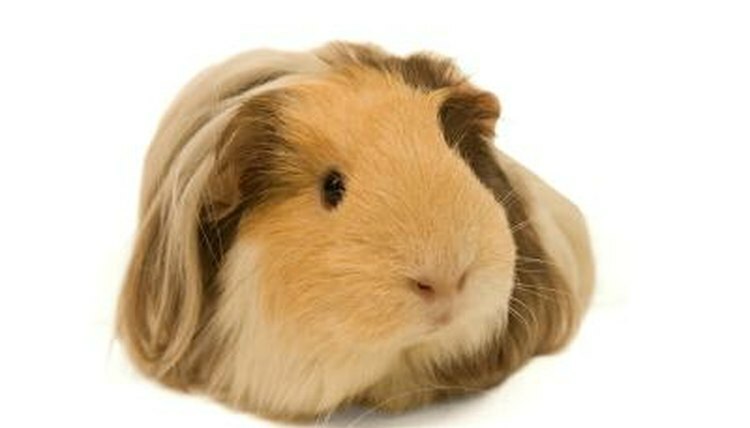 The Humane Society of the United States: Guinea Pigs - The Right Pet For You?